Innovative Bold Styling: Make over your interior with this 18 piece Billet Deluxe Interior Kit for your 2010-2014 Chevrolet Camaro. 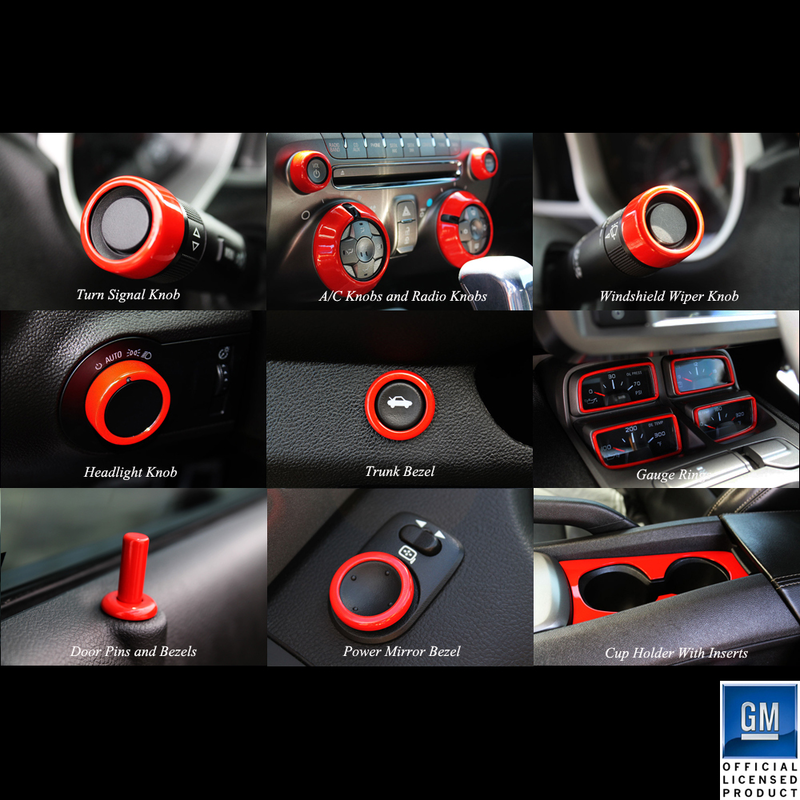 This kit includes the Radio and AC Knob covers, Turn Signal knob cover, Windshield Wiper control knob cover, Trunk Release button cover, Headlight Knob button cover, Gauge rings, Door pin and bezel set, Power Mirror bezel, Cup holder bezel. Quality Construction: CNC Machined from Billet Aluminum with a diamond cut final pass for a precise fit and amazing looks. No one else can Stack up to the bold clean styling of our aftermarket Billet / Stainless Steel Dress Ups, Street / Strip / Racing Suspension and GM Performance Parts for your American Muscle Car! Easy to install. Fits these Vehicles: 2010 2011 2012 2013 2014 GM Chevrolet Chevy Camaro SS 2SS/RS LS3 L99 Transformers Special Edition. Made in the USA!